The wait is finally over. Heidi Klum revealed her 2017 Halloween costume, and there’s a good chance this one may be her best yet. First, let’s talk about why Klum’s big reveal is important. Throughout the past few years, it’s become apparent that Klum is a big fan of Halloween. Last year, she managed to “clone” herself, which was a lot of fun (since what’s better than one Heidi Klum? Six of them.) The costume reportedly cost her a bit of money, but it was worth every penny. The crazy costumes seem to have started back in 2010, when she was nearly unrecognizable as a two-tone alien. Wearing red and purple, the model truly transformed into her own character. In 2011, she showed the world what she was made of — literally — as she wore a muscle-revealing outfit that looked like she turned herself inside out. Then in 2012, she dressed up as Cleopatra, telling People that her face makeup “took maybe three hours” to do, yet the costume itself required “ten minutes to get dressed.” Then she topped it that next year, as she went as an elderly version of herself. This year, Klum teased her costume early, saying that her outfit required studio rehearsal time. Thankfully, she shared it all on Instagram. 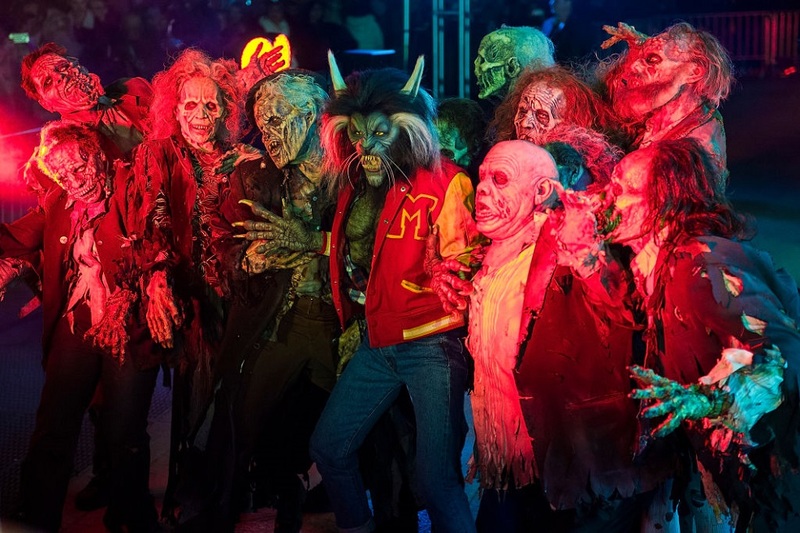 Klum decided to dress as a werewolf from Michael Jackson’s iconic music video for the song “Thriller” — and she made sure to pay attention to detail. Through Instagram, she shared how the costume required prosthetics. As well as a lot of makeup. But all of that time in the makeup chair was worth it, since Klum ended up looking incredibly spooky. Klum debuted her look at her annual Halloween party at Moxy Times Square, and as she teased earlier, recreated the video with the help of a few zombies to welcome her guests — which included celebrities like Mike Myers, Heather Graham, and Nick Cannon. If you’re ever looking for a little bit of Halloween inspiration, Klum is truly the celebrity you should look up to. Every year, she manages to knock it out of the park.